Persuasion and Healing: a Comparative Study of Psychotherapy. Baltimore, MD: John Hopkins University Press, 1991. 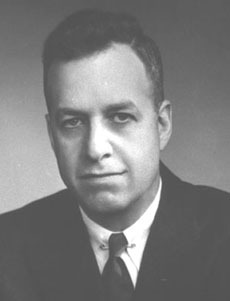 First published in 1961, Jerome D. Frank’s book Persuasion and Healing was a pioneering insight into the important components shared by effective therapies in mental health including the addictions, components now widely acknowledged as more influential than the specific theories and methods of different approaches. Summary These comments from Drug and Alcohol Findings introduce the extracts from Persuasion and Healing which follow. Across mental health and behavioural problems, ‘Dodo bird’ findings that bona fide therapies have similar effects have turned attention to the ‘common factors’ they share rather than how they differ, a paradigm shift increasingly evident in the addictions. Jerome D. Frank’s book Persuasion and Healing published in 1961 is acknowledged as the most influential early exposition of the ‘common factors’ understanding of treatment – a process he conceived straightforwardly as the attempt “to enhance a person’s feeling of well-being”. Asserting in 1961 that “much, if not all, of the effectiveness of different forms of psychotherapy may be due to those features that all have in common rather than to those that distinguish them from each other” amounted to a revolutionary undermining of the competition for validity between different schools of therapy. These claims, he implied, were missing the point; their cherished methods and understandings of psychological distress were not active ingredients but platforms (an important role nevertheless) for the less esoteric features they shared – features which were not just the province of psychotherapy, but also seen in religious healing ceremonies, in the prescription of a placebo, and in the more everyday ways others help “demoralised” people regain traction over their lives. The overriding importance of common features across therapies derived from a common feature of most of the patients – that whatever their specific symptoms such as alcoholism, morbid anxiety or obsessive behaviour, what drove them to seek help was the accompanying feeling or state of demoralisation – a helpless inability to cope with their symptoms and take control of their lives, and the reason why they sought professional help. The remaining part of this account consists of literal extracts from the third edition of the book, co-authored with Jerome Frank’s daughter, Julia Frank. It was published in 1991, 14 years before Dr Frank’s death in 2005. The extracts focus on the common factors identified in the book, retaining the US spelling of the original, but omitting references in what was an evidence-based text. Three major themes develop in the pages that follow. The first is that all psychotherapies involve a particular setting and a conceptual framework that specifies a relationship between healer and patient. Within this relationship, the task of the therapist – whatever his or her technique – is to clarify symptoms and problems, inspire hope, facilitate experiences of success or mastery, and stir the patient’s emotions. The second theme is that the main effect of such activity is to alleviate the patients’ sense of powerlessness to change themselves or their environment, a condition that may be termed demoralization. Features that combat demoralization and facilitate helpful changes in attitude and behavior appear in all forms of religious and secular healing in the West and in the healing methods of other cultures. The third theme is that psychotherapy may be more closely akin to rhetoric than to applied behavioral science, a position fraught with implications for how the subject should be practised, studied, and taught. Dictionaries define demoralize as “to deprive a person of spirit, courage, to dishearten, bewilder, to throw a person into disorder or confusion.” These terms well describe the state of candidates for psychotherapy, whatever their diagnostic label. Typically, they are conscious of having failed to meet their own expectations or those of others, or of being unable to cope with some pressing problem. They feel powerless to change the situation or themselves and cannot extricate themselves from their predicament. This situation has been conceptualized as a “crisis” if acute and as the “social breakdown syndrome” if chronic. For many people the distress of a crisis or social breakdown is compounded by the feeling that they are somehow unique, that no one else has ever been through a similar experience, and that therefore no one really understands them ... The state of demoralization, in short, is one of hopelessness, helplessness, and isolation in which the person is preoccupied with merely trying to survive. Lucid, literate, and persuasive, Persuasion and Healing was a classic then, and remains one now. Our list of the features common to all effective psychotherapies, which follows, pertains to secular dyadic therapies conducted by professionals in contemporary America ... In our view, all psychotherapies share at least four effective features. ¶ A healing setting. Most psychotherapeutic encounters transpire in special locales regarded as places of healing. In all societies, religious healing rites are conducted in temples or sacred groves. When the setting is a patient’s home, purification rites transform it into a sacred place. Secular therapies typically take place in a therapist’s office, a hospital, or a clinic. Many of these sites carry the aura of science. Both secular and religious healing sites are distinguished from the rest of the patients’ surroundings by special attributes, including sharply delineated spatial and temporal boundaries. Special settings have at least two therapeutic functions. First, they heighten the therapist’s prestige and strengthen the patient’s expectation of help by symbolizing the therapist’s role as a healer. This occurs whether the setting is a clinic in a prestigious hospital or a private office complete with bookshelves, impressive desk, couch, and easy chair. Often the setting also includes such evidence of the therapist’s training and competence as diplomas, citations, and pictures of his or her teachers and colleagues. Second, the setting provides safety. Within its protective walls patients know they can freely express feelings, dare to reveal aspects of themselves that they have concealed from others, and do whatever else the therapy prescribes. Patients can feel secure that no harm will come to them during the session, that they will not be held accountable for their behavior in it when they re-emerge into the daily world, and that their revelations will remain confidential. Therapeutic rationales and procedures acquire plausibility through their links to the dominant world-view of their particular culture. In the Middle Ages, therapeutic symbols drew their power from their association with Christian belief. Indigenous healing rituals in non-Western societies inevitably draw upon the cosmology of their particular group. Psychotherapies based on mystical or religious doctrines have never lost their appeal to the adherents of these doctrines. ¶ A ritual or procedure that requires the active participation of both patient and therapist and that is believed by both to be the means of restoring the patient’s health. The procedure serves as the vehicle for maintaining the therapeutic alliance and transmitting the therapist’s influence. It also enhances the therapist’s self-confidence by demonstrating mastery of a special set of skills. Procedures such as hypnosis, relaxation, or emotional flooding, in which the therapist alters the patient’s subjective state, are especially impressive demonstrations of the therapist’s power. A not infrequent and easily overlooked function of therapeutic rituals is to provide a face-saving way for a patient to abandon a symptom or complaint without admitting that it was trivial or produced for some ulterior motive. The more spectacular the ritual, the greater its face-saving power. In consequence, one must be cautious in attributing a remission of symptoms to a particular maneuver. The procedure may simply serve as the occasion for a patient to relinquish symptoms he or she was ready to give up for other reasons. Despite differences in specific content, all therapeutic myths and rituals have functions in common. They combat demoralization by strengthening the therapeutic relationship, inspiring expectations of help, providing new learning experiences, arousing the patient emotionally, enhancing a sense of mastery or self-efficacy, and affording opportunities for rehearsal and practice. Let us consider each of these briefly in turn. ¶ Combating the patient’s sense of alienation and strengthening the therapeutic relationship. Because a shared belief system is essential to the formation and maintenance of groups, the adherence of therapist and patient to the same therapeutic myth creates a powerful bond between them. Within this context, the therapist’s continued acceptance of the patient after the patient has ‘confessed’ combats the latter’s demoralizing feelings of alienation. This is especially so if, as is usually the case, the therapist explicitly or implicitly represents a group. The ritual further serves to maintain the patient-therapist bond, especially over stretches when nothing much seems to be happening. ¶ Inspiring and maintaining the patient’s expectation of help. By inspiring expectations of help, myths and rituals keep the patient coming to treatment and are powerful morale builders and symptom relievers in themselves. The arousal of hope, similarly, may account for the finding in several studies that “the best predictor of later benefits is . . . [the expectation] of early benefits expressed in the early sessions”. Sometimes merely the name of a therapeutic procedure mobilizes patients’ hope of relief. This is at least a plausible interpretation of the finding that patients who received a standard relaxation sequence in response to their request for hypnosis showed more subjective and objective improvement if the word “hypnosis” was substituted for “relaxation” whenever possible. Cognitive learning includes patients’ awareness of the rules of the therapist’s particular method, patients’ identification of the psychological sources of their difficulties and the contingencies that maintain them (insight), alternative ways of conceptualizing problems, and the like. The therapist and, in group therapy, other patients also provide models who exemplify alternative values or ways of behaving. Experiential learning in therapy involves patients’ emotions. Emotions are stirred, for example, when patients experience discrepancies between aspects of their assumptive world and actuality. Group therapies confront members with discrepancies between the impression they think they are making and the actual impression they make. Awareness of these cognitive dissonances creates a powerful incentive to change in directions suggested by the cognitive insights the patient is gaining simultaneously. Patients’ emotions may also be aroused by transference reactions and by patients’ attempts to change contingencies governing their behavior. New experiences provided by therapy can enhance morale by showing patients potentially helpful alternative ways of looking at themselves and their problems. The more numerous and more intense the experiential, as opposed to the purely cognitive, components of learning, the more likely they are to produce changes in the patients’ attitudes or behavior. It is a truism that intellectual insight alone is essentially powerless to effect change. The power of experiential learning brings us to the fourth therapeutic ingredient common to all therapeutic conceptualizations and rituals, emotional arousal. ¶ Arousing emotions. Emotional arousal is essential to therapeutic change in at least three ways. It supplies the motive power necessary to undertake and endure the suffering usually involved in attempts to change personal beliefs and behaviour ... emotional arousal also seems to facilitate attitudinal change and enhance sensitivity to environmental influences. Unpleasant emotions, moreover, lead patients to search actively for relief. When this occurs in therapy, the patient naturally turns to the therapist. If the arousal is intense enough to be disorganizing, the patient’s dependence on the therapist may increase still further. Intense emotional experiences, in addition, may break up old patterns of personality integration and facilitate the achievement of better ones. Though emotional arousal contributes importantly to attitudinal change, many Western psychotherapies consider it a by-product of their procedures rather than a primary focus ... From the perspective of the demoralization hypothesis, the therapeutic effect of intense emotional arousal may lie in its demonstration to patients that they can stand, at high intensity, emotions that they fear. Surviving an emotionally intense experience can directly strengthen patients’ self-confidence and mastery. Such an experience may also encourage patients to enter into and cope successfully with situations they previously feared or avoided, further bolstering their morale. ¶ Enhancing the patient’s sense of mastery or self-efficacy. Self-esteem and personal security depend to a considerable degree on a sense of being able to understand and thereby exert some control both over the reactions of others toward oneself and over one’s own inner states. The inability to control feelings, thoughts, and impulses is inherently demoralizing. Uncontrolled feelings also impede a person’s ability to influence others by pre-empting attention from social interaction and distorting perceptions and behavior. The feeling of loss of control gives rise to anxiety and other emotions that aggravate and are aggravated by the specific symptoms or problems for which the person ostensibly has sought psychotherapy. All schools of psychotherapy bolster the patient’s sense of mastery or self-efficacy in at least two ways: by providing the patient with a conceptual scheme that explains symptoms and supplies the rationale and procedure for overcoming them, and by providing occasions for the patient to experience success. Since words are a human being’s chief tool for analyzing and organizing experience, the conceptual schemes of all psychotherapies increase patients’ sense of security and mastery by giving names to experiences that had seemed haphazard, confusing, or inexplicable. Once the unconscious or ineffable has been put into words, it loses much of its power to terrify. The capacity to use verbal reasoning to explore potential solutions to problems also increases people’s sense of their options and enhances their sense of control. This effect has been termed the principle of Rumpelstiltskin, after the fairy tale in which the queen broke the wicked dwarf’s power over her by guessing his name. To be effective, interpretations, the primary means of transmitting the therapist�s conceptual framework, need not be correct, only plausible. Experiences of success, a major source of enhanced self-efficacy, are implicit in all psychotherapeutic procedures. Verbally adept patients experience success from achieving new insights; behaviorally oriented patients, from carrying out increasingly anxiety-laden behaviours ... Furthermore, performances that patients attribute to their own efforts enhance self-esteem more strongly than do those they attribute to such external factors as medication or outside help. Recognizing this, psychotherapists of all schools seek to persuade patients that their progress results from their own efforts. Nondirective therapists disclaim any credit for patients’ new insights, and directive ones stress that patients’ gains depend on their ability to carry out the prescribed procedures. Unfortunately, however, humans are not all-powerful. All of us must face problems we cannot solve and endure sources of distress that no amount of effort can alleviate. In these circumstances, trying to convince patients to take responsibility for their troubles may be counterproductive or even disastrous. In the heyday of dynamic psychotherapy, therapists caused endless misery and disrupted whole families by insisting, for example, that neurologically damaged, autistic children were really suffering from emotional blocks for which their parents� behavior was responsible. Encouraging patients to take responsibility for their symptoms and problems in living enhances morale only when patients possess the ability to change them. Since experiences of success or failure depend not on the actual level of performance but on whether it exceeds or falls below the person�s expectations, when problems or symptoms are intractable, the appropriate goal of therapy must be to help the patient lower unrealistic expectations. ¶ Providing opportunities for practice. A final morale-enhancing feature of all psychotherapies is that they provide opportunities and incentives for internalizing and reinforcing therapeutic gains through repeated testing both within and outside the therapeutic session ... group therapies involve the same morale-building principles as individual ones, often to a greater degree. The presence of other patients and the emergence of processes specific to groups introduce additional ways of combating the alienation that accompanies demoralization. Groups provide a variety of opportunities for cognitive and experiential learning, and for practicing what has been learned. They may be more emotionally arousing than individual sessions, increasing the patient’s chance of achieving a sense of mastery through weathering the stresses of group interactions. Finally, as social microcosms that resemble real life more closely than do individual interview situations, groups facilitate the transfer of what has been learned to daily living.